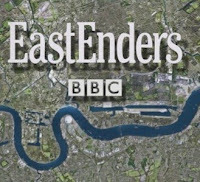 EastEnders star Larry Lamb has admitted the decision to kill off Archie Mitchell was the right one, even though it wasn't his choice. Larry's twisted alter ego was bumped off in the Queen Vic on Christmas Day by a mystery assailant whose identity will be revealed during a live episode on Friday, February 19. The actor told The Sun: "I remember asking if I had any choice in the matter and they said 'no', so I just accepted it and what a fabulous way to go." He went on: "Anyway, they were right. The story had to be rounded off. "Archie couldn't have continued sitting around in the Vic, spinning his web of evil like some giant spider. "It could have become a bit farcical. "At the end of the day, I'm glad the decision was made for me. Otherwise, I'd have stayed put because it's nice to have a regular job and such good fun playing a baddie." No more soap pregnancies for Nina? Video: Archie's Killer is Revealed! Video: Did Janine Kill Archie? 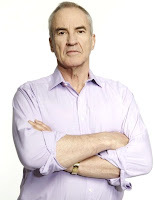 Archie Mitchell killed by woman?